Prioritising energy outcomes will improve people’s access to opportunities and free up income to live; it will free up capital and resources to invest in more productive ways that drive job creation and growth in all sectors. All over the world different energy transitions are already happening. The era of centralised, command-and-control, fossil fuel-based energy sources is ending because of technology disruption reminiscent of how cellphones, the internet and personal computers swept away industries such as landline telephony, publishing and mainframe computers. In 2017, renewable capacity additions of 178GW accounted for more than two-thirds of global net electricity capacity growth. The distributed generation market, led by solar PV, is expected to continue to grow significantly. Globally, off-grid renewable energy capacity has witnessed a spectacular three-fold increase, from under 2GW in 2008 to more than 6.5 GW in 2017. In the transport sector, Bloomberg suggests electric vehicles (EVs) will represent 55% of new car sales and 33% of the global car fleet by 2040. The world is moving to a new, more sustainable, energy model. The transition is inevitable and future prosperity requires us to recognise and accept this. South Africa can be reluctantly pulled into it and risk stranded assets, higher costs and environmental degradation or we can proactively manage the most appropriate transition for our country. What is the nature of the transition? There are a number of disruptors in the energy sector. Supply and demand dynamics in the electricity and liquid fuels sectors is one of these, but changing ownership models and the systems that move and use energy are another important force. Some of the better understood disruptors are explored below. In the electricity sector, renewables and battery technology are continuing to become cheaper in many applications. Government should encourage investment in small-scale embedded generation (SSEG) that offers low carbon energy services and leverages private capital. Households and companies will increasingly make this investment because of the economic business case and due to energy security and environmental benefits. However, this will threaten revenue models of Eskom and municipalities and complicate the system, making planning more difficult (risking load shedding and blackouts). The grid will remain an affordable way to balance these systems (for example, when the sun is not shining) and to provide a market for generators to sell surplus power. Eskom and municipalities need to evolve their revenue models to benefit from the trading of electricity across the transmission and distribution grid. Technologies that enable integration and a smarter grid offer a way to manage the changes. The liquid fuel sector is under threat from EVs. There will always be demand for liquid fuels, particularly in industrial applications, but the unstoppable momentum towards electromobility will significantly reduce future demand for petrol and diesel. South Africa will not escape this trend nor do we want it to. EVs are more efficient and will ultimately translate into lower transport costs for organisations and households. This will be by far their biggest impact and will catalyse development. The transition will also improve energy security with greater reliance on electricity for transport services rather than imported crude oil. Greenhouse gases from transport will decrease particularly as the source of power charging vehicles increasingly comes from renewable energy. Air quality will improve dramatically with no tailpipe emissions, improving labour productivity and reducing the burden on the government health care system. There will be an opportunity for the electricity sector to increase revenue, however, because EVs are so energy efficient, this is not the most significant impact. The speed of change may increase as the need to change to cleaner fuels, in line with European standards, necessitates change. This will further strengthen the need to rethink the role of electricity in South Africa and plan the energy transition in the transport sector, as well as the risks associated with this transforming role. Ownership models are changing with implications for energy planning. Trends towards a sharing economy, with products such as Uber, will mean fewer people will own their vehicles or the kit that generates or uses electricity. For example, we are seeing companies offer utility packages where providers fund, install and manage roof-mounted solar PV systems providing energy at a flat or unit rate to the building owner. Other examples include selling heat to industry rather than equipment (energy-as-a-service). In the transport space, mobility-as-a-service will continue to gain traction as lower cost, less stressful, transport is increasingly more attractive than owning and driving a vehicle on congested roads. Fundamental to the sharing economy is the principle of efficiency which will drive growth, but is a disruptor for existing systems. We need to focus on energy services (the outcomes enabled by power and fuel) as a fundamental driver of development. Enabling adequate, affordable, safe and clean energy services should be the priority. People need lighting, space heating, connectivity, an ability to cook their food and to move from A to B in the cheapest, safest possible way. Organisations need to move goods and people and reliable heat, cooling, lighting and other energy services to add value. Prioritising energy outcomes will improve peoples’ access to opportunities and free up income to live; it will free up capital and resources to invest in more productive ways that drive job creation and growth in all sectors. If we focus on losses in specific sectors we run the risk of not maximising the benefits of the transition. This does not represent an exhaustive list of disruptors and we need to further explore the role of increased digitalisation associated with the fourth industrial revolution and artificial intelligence, among others. In all cases, a social transition will arise as a consequence of the energy transition. We need to plan and manage the need for new and different jobs, the need for re-skilling, and the loss of jobs in the traditional sectors associated with coal-based power generation. What is needed in South Africa? Energy policy should drive improved access to energy services before being considered as a vehicle to drive industrial policy. 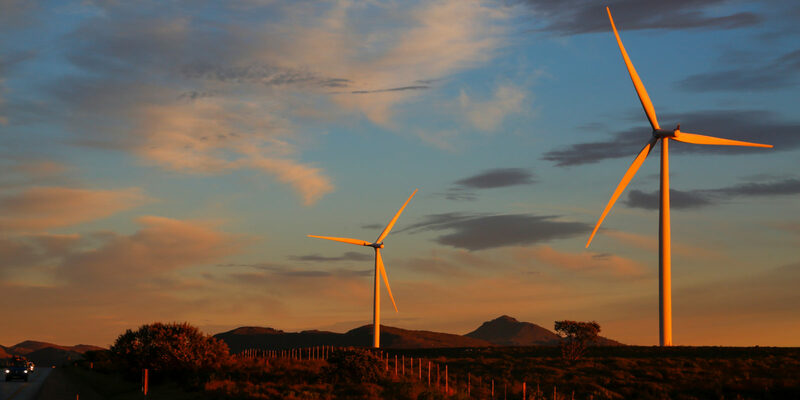 We need to start by understanding South Africa’s optimal energy service solution. This assumes that providing access to affordable, reliable, safe and clean energy services, together with education, health care, infrastructure, and other development building blocks, is more likely to achieve broad development rather than targeting specific sectors. Then we can consider a “policy-adjusted’ solution that tweaks aspects to benefit targeted sectors. We need to be open to change and trying new approaches. Specifically, we should promote technologies and systems that are flexible. Renewable energy generation an example of this — it is often modular (can be scaled up and down), has short lead times (can be mobilised quickly) has a relatively shorter economic lifespan (avoiding technology lock-in) and can follow the demand profile quicker and more cost-effectively. Flexible systems allow for adaptability in the face of change and uncertainty. In such complex systems characterised by higher levels of change and uncertainty, reaching consensus on the appropriate sustainable energy transition is near impossible. There will be winners and losers in this process. A clear policy direction and careful planning to smooth the transition require bold and decisive leadership. To a large extent the market will change on its own but maximising the benefits and reducing the negative impacts of the transition will require new and ambitious energy policies. We need to focus on energy services (the outcomes enabled by power and fuel) as a fundamental driver of development. Enabling adequate, affordable, safe and clean energy services should be the priority. Prioritising energy outcomes will improve peoples’ access to opportunities and free up income to live; it will free up capital and resources to invest in more productive ways that drive job creation and growth in all sectors. The author, Anthony Dane, is the Director of Change Pathways, a Cape Town based sustainability consultancy. His views are his own.